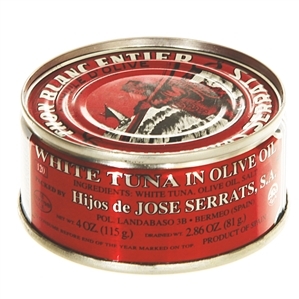 Bonito del Norte is a prized species of tuna, also known as albacore, that is defined by its white meat, smooth and tender texture, and rich (but not fishy) flavor. Line caught by hand in the Bay of Biscay in northern Spain, this tuna is a world away from your typical supermarket can of tuna fish. It is cut from the loin only, and each piece is carefully prepared and packed individually and tightly into tins, and then covered with olive oil. 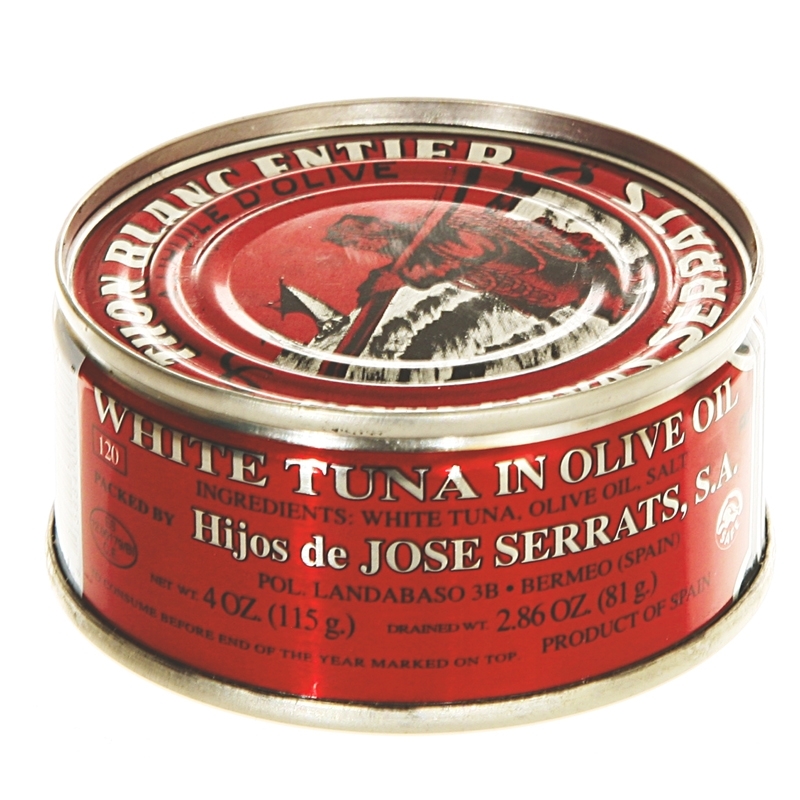 We enjoy this tuna as a splurge for an exquisite tuna salad (warning: it's hard to go back to your old brand), and we also toss it into any other salad, serve with toast or on lettuce leaves as a simple tapa, or just snack on it out of the tin. Imported from Spain. 4 oz tin.